One Saturday last month, a group of demonstrators broke into an abandoned church on the edge of downtown in solidarity with Occupy protests going on in Oakland and elsewhere. The police quickly arrived and told them to leave, which they did, but not before they ran around and danced in the elegant but crumbling sanctuary. They posted a whimsical video of the 45-minute occupation on YouTube. One of the people who watched it was Edie Oates, who got “quite upset” at the images of some children frolicking along with grownups in the church at 614 E. 15th St., in the Elliot Park neighborhood. Oates knows about the hazards of that building because she’s trying to find a new use for it in her role as a senior project coordinator in the city Department of Community Planning and Economic Development. She thought about the pigeon droppings, dead animals, airborne asbestos and lead paint, not to mention a second floor so weak it could collapse under a person’s weight. Set back from the street, with an imposing Greek revival portico, the First Church of Christ Scientist was built in 1897 from a design by architect S.J. Bowler. The congregation moved to Nicollet Avenue in the early 20th century, but the old church stayed in use, most recently as a theater. More recently, the building fell on hard times. It went onto the city’s vacant building registry in 2005. Four years later, the church was forfeited to the state after the owner, Historic Equities LLC, failed to pay the taxes, said Jeff Strand of Hennepin County’s taxpayer services-property tax division, which administers tax-forfeited properties. Because of the building’s historic value — Strand said it was the first Christian Science church built west of the Mississippi River — the county has given the city a chance to market it. 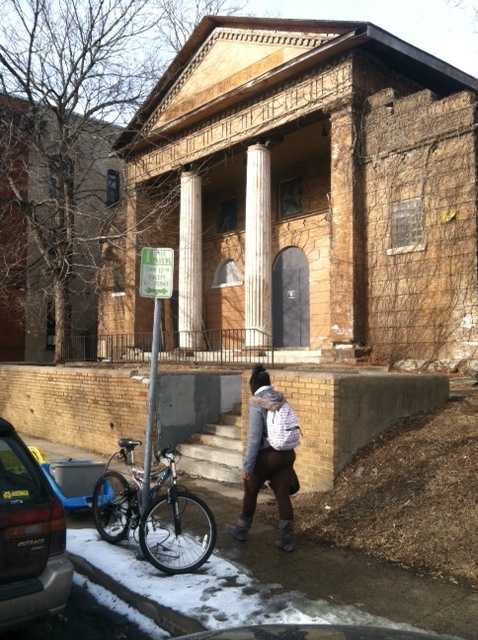 A St. Paul church has expressed interest in relocating there, Oates said. Before the worship could begin, they would likely have to shore up the roof, ceilings and balcony, rehab the windows and replace all major systems. Still, Oates is hoping that the attention from the brief occupation of a 115-year-old landmark will lead to a more lasting one. A Green Bay police dog is back on duty after being stabbed multiple times last month and undergoing several surgeries. Harley-Davidson reported a decline in motorcycles sales in the U.S. and abroad as it continues to adapt to an aging clientele while navigating the costs of higher tariffs on its motorcycles shipped overseas. The SUV driver crossed the centerline and hit the other vehicle, authorities said. Tracking the roots of "Minnesota Nice" is difficult, partly because people don't agree on what it actually is.